OF ZION DO MOURN, HWV264. A few years ago, Stephen was invited to become a professor at the Royal College of Music in London, where he now leads classes in Performance Technique and in English Song, as well as individual coaching, and is becoming well known for his inspiring lectures and masterclasses. 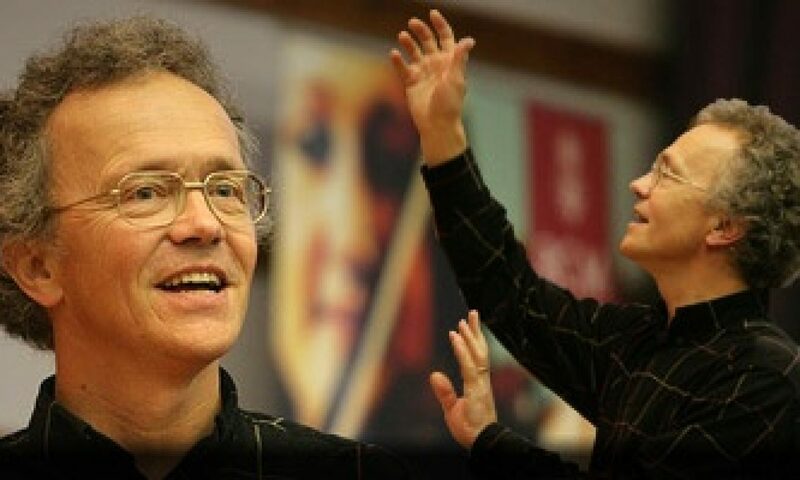 He has given series of seminars at the University of York on Performance, teaches at the Summer Schools in Dartington and Hereford, and gives masterclasses at festivals, colleges and schools around the country. Earlier this year he travelled to Vancouver for a week of English Song classes, and he has just returned from Jerusalem where he was involved in giving a week of Baroque music classes. As an extension of Stephen’s teaching practice, he now runs a series of song workshops at his house in Essex. In a relaxed, informal setting he brings together his own mission to introduce every singer to the joys of the song repertoire and his flair for encouraging inexperienced or less confident solo singers. In recent months workshops have covered such topics as English & American Song, Schumann and Brahms, La France Profonde, Celebrating Mozart and Schubert, Wolf & Brahms. The group (a maximum of eight participants) is drawn from students of singing, enthusiastic amateurs, choral singers, teachers or semi-professionals, of all ages and abilities. The only qualifications necessary are a love of song and an enthusiasm for sharing ideas and interpretations in a friendly, positive atmosphere. We have been running our very successful Song Days here for several years now, and underpinning the whole venture is the fact that Stephen is a world-famous baritone, whose expertise and experience in the field of song is second to none – he has made over 150 recordings, and is widely acknowledged to be one of the foremost recitalists of the age. Future dates are still to be decided, but will be posted in due course. The Song Day begins at 10 am, and ends at 5 pm or later, with breaks for coffee, tea and homemade cakes; at lunchtime everyone enjoys a two-course meal (with wine) prepared by Melinda – this is all included in the price. The winning combination of stimulating teaching and learning, delicious food and glorious music in a beautiful rural setting seems to work miracles! Each performer gets at least two chances to sing, (perhaps more, depending on numbers and time), and during the course of the day people invariably make new friends, catch up with old ones, find fresh inspiration and gain greater confidence to explore repertoire which might have been unfamiliar or daunting. An experienced accompanist is provided, or singers may bring their own for an extra charge (£25). The cost is £95, with a deposit of £20 payable in advance (non-returnable unless the organisers have to cancel).